Fair Trade Jewelry: Our fair trade jewelry is brought to us from only a few select vendors, but our selection is quite thorough (and always improving). People seem to appreciate our Minneapolis-based artist, Robin Rifé and our jewelry from Far Fetched. Bamboo Disposable Plates & Utensils: They are a wonderful and attractive alternative to standard disposable paper plates made from trees that take many years to grow. These products were made from 100% certified organic bamboo! Bamboo truly is a remarkable renewable resource. Those of us who have used the plates have found that they actually hold up to being used many times. On a related note, we also have biocompostable corn-based utensils available. Reusable Bags: Reusable bags are a superior choice to any common plastic (and paper, for that matter) shopping bags because they are an easy way to decrease the amount of waste we create each year. We have a variety of options available. Popular choices include our Hemp Shopping Bag, ChicoBags, and Fair Trade Recycled Market Bag. Check out all of our reusable bags here. Recycled Rugs: Our current rug selection consists mainly of a recycled plastic or cotton rugs. 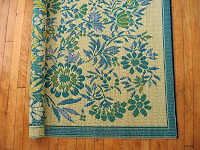 The fair trade recycled rugs are made from post-consumer recycled plastic. They make a stylish eco-friendly addition to any home, but is also durable enough for outdoor use. Our cotton rugs are made with recycled materials, which creates a colorful, soft rug while extending the useful life of the components. Water Bottles: Metal water bottles are becoming a common household option for a safe alternative to plastic (Bisphenol A: BPA) water bottles. With the frenzy of media attention about the safety and health concerns of plastic water bottles, people are now choosing metal options. The two main lines that Wedge Worldwide is carrying are: Klean Kanteen and Sigg water bottles. However, check back soon because we are in the process of adding an additional line to the mix. 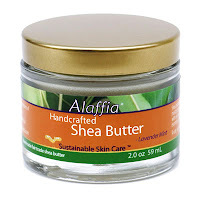 Alaffia Body Care Products: Alaffia has chosen to empower communities in Africa through p romoting indigenous African natural resources that are culturally, spiritually, economically, and ecologically sustainable. Traditionally handcrafted shea butter fits these criteria. It is a renewable resource of African origin; shea trees are wild, requiring no chemical fertilizers or pesticides. Furthermore, it is an integral part of many savanna communities and, consequently, there is a wealth of local and traditional knowledge of making shea butter. This fair trade handcrafted shea butter is also produced by workers who belong to cooperatives, bringing income to and empowering African communities. 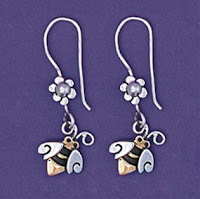 They are a wonderful company and their products never cease to amaze us at Wedge Worldwide. Check them out! Along with the top six, there are a few other items/vendors that deserve, at least, an honorable mention. So here they are: our Cookware items, Bambu products, Gusanito® Brand Worm Factory, and our Green Leaf Dinnerware.